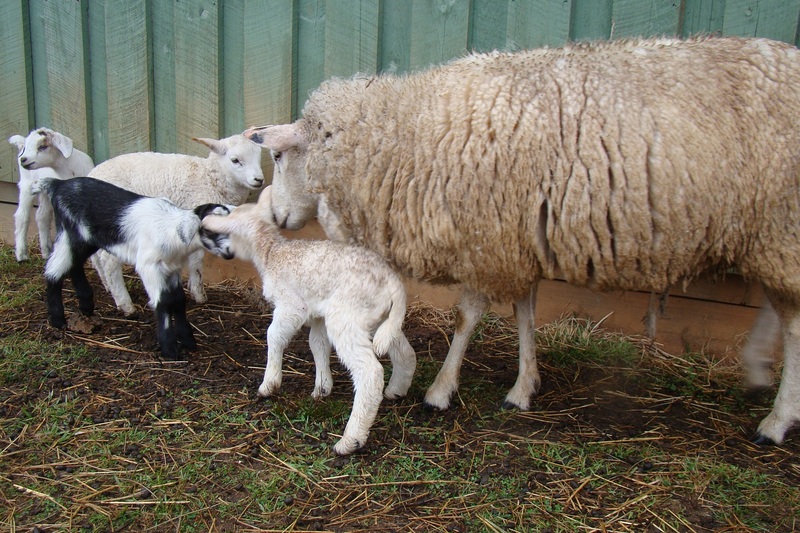 Savannah introduces her brand new one day old lamb to Maya and Bella’s twin kids, who our daughter Claire named Arthur and Uther. Even though Uther was King Arthur’s father not brother. Uther is the black one and Arthur is the mostly white one. Got that? 🙂 We named Savannah’s little ewe Valdosta , Val for short.